Posted February 13th, 2017 by AEG_admin. The Alberta Enterprise Group (AEG) is please to present a luncheon with candidates vowing to lead the Conservative Party of Canada on Tuesday, February 28th, 2017. This dynamic event will provide attendees an opportunity to meet with candidates in a speed-dating styled, roundtable discussion to hear about their vision for Canada. Program begins at 12:00 noon, and concludes at 1:30 p.m. Registration closes for this event on Friday, February 24th, 2017 at 5:00 p.m.
To learn more about sponsorship opportunities, contact AEG’s Josh Bilyk at (780) 481-7205. Born in Toronto, my roots are in Parry Sound-Muskoka and the Ottawa Valley. I’ve planted trees in Wawa and Hazelton, studied in Montreal, Quebec City and Oxford, and love every part of Canada from Bonavista to the Chilkoot Trail. As a Canadian diplomat, I worked in and on Russia (1993-2003), spent six years in Afghanistan as our ambassador and a UN leader (2003-09) and understand the threat terrorism and dictators represent. Since 2009, I’ve published a book and served as MP, Parliamentary Secretary and a Cabinet Minister. My leadership campaign is about unleashing Canada’s full potential. 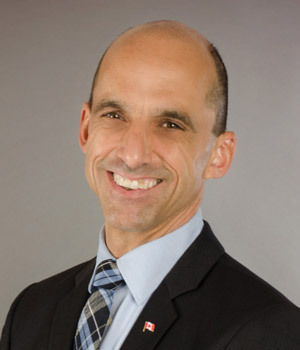 Steven Blaney was elected to the House of Commons for the first time in 2006. 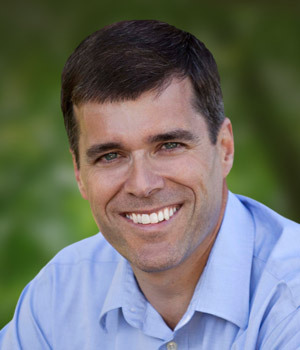 Following the 2011 election, Steven was appointed Minister of Veterans Affairs where he implemented measures to improve programs for veterans and their families and family reduce bureaucratic red tape. In July 2013, Steven became Minister of Public Safety and Emergency Preparedness. While in this role, he led the governments efforts to fight terrorism by implementing the Anti-terrorism Act of 2015. 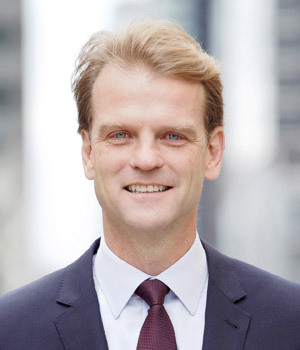 Before becoming an MP, Steven worked for nearly twenty years as a consultant, entrepreneur and advisor in the fields of urban infrastructure and environmental technology. Michael believes in building a bigger, more inclusive Conservative Party of Canada, focused on small governments, free markets and individual responsibility. Kellie, born in Winnipeg, lived in Fort McMurray as a youth where her father started a construction company. With his encouragement, Kellie ran a small moving company and courier service in Fort McMurray that gave her an understanding of what small businesses go through such as balancing the books, managing staff and dealing with clients. In 2010, Kellie received the Order of Ontario for her work advocating for children and youth, an honour bestowed upon remarkable Ontarians who effortlessly give back and support their communities. 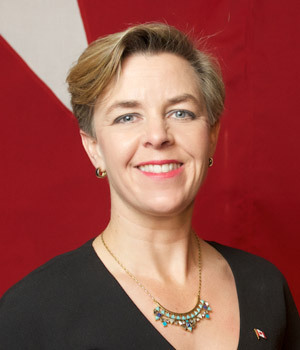 Kellies exceptional life experiences make her exemplarily qualified to serve as Leader of the Conservative Party of Canada and, importantly, as Prime Minister. Pierre Lemieux began his career as an officer in the Canadian Armed Forces, serving for 20 years and retiring at the senior rank of Lieutenant-Colonel. Pierre has a Bachelor of Engineering (Royal Military College), a Masters of Science, and is a Professional Engineer (P.Eng) and is a Project Management Professional (PMP). Pierre was the Member of Parliament for Glengarry-Prescott-Russell for almost 10 years. First elected in 2006, he was re-elected in 2008 and again in 2011, serving his constituents diligently until 2015. During this time, the Prime Minister assigned Pierre three demanding responsibilities as Parliamentary Secretary to the Ministers of Agriculture, Veterans Affairs and Official Languages. Pierre is fully bilingual. For the last 19 years, Deepak represented Canadians values and carried the message of hope and freedom across Canada and the world. This has earned him a deep respect across Canada for his knowledge on human rights, foreign policy and security, as well as facilitating economic growth through partnerships in emerging markets. 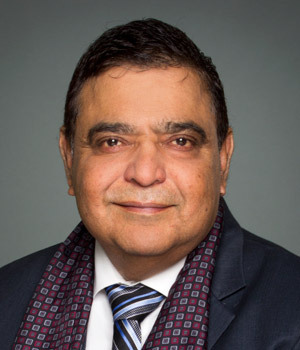 Deepak has been the longest serving Parliamentary Secretary for Foreign Affairs and Human Rights and on his travels he promoted Canadian values and interests, gaining a wealth of experience beyond the area of foreign affairs. 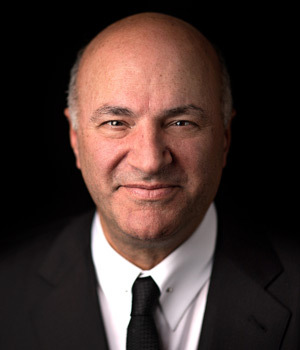 Kevin was born in Montreal, Quebec to Lebanese and Irish immigrants, Georgette Bookalam and Terry O’Leary. Many of his investment lessons came from his mother, including the admonition to be fiscally prudent. His father’s work saw the family living in many different countries across Asia, Africa and Europe. Living in those places had a profound impact on him and his experiences – giving a unique first hand education on how the world really works. A graduate from the University of Waterloo with a degree in Psychology and Environmental Studies, his education was supplemented by an MBA from the Richard Ivey School of Business at the University of Western Ontario. Today Kevin is the Chairman of O’Shares Exchange Traded Funds, where he also travels the world for our investors looking for growth and investment opportunities. He wants to do that for Canada, and to offer Canadians, today and tomorrow, the same opportunities their parents had. Kevin has spent a lifetime fighting on behalf of investors, but the outcome of the next election is too important to the future of our country. 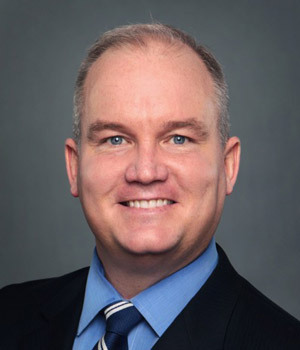 Erin O’Toole has been the Member of Parliament for the riding of Durham in Ontario since 2012 and served as the Minister of Veterans Affairs and Parliamentary Secretary for International Trade in the previous government. After high school graduation, Erin joined the Canadian Forces and enrolled at the Royal Military College of Canada (RMC) in Kingston. During his service to Canada, Erin conducted anti-submarine, maritime surveillance, search and rescue and naval support operations as a helicopter Air Navigator. While serving in Nova Scotia, Erin was promoted to the rank of Captain and has been decorated for his faithful service. Upon completion of 12 years of service in 2000, Erin transferred to the reserves while he earned his law degree (LL.B) at Dalhousie University in Halifax. Erin returned to Ontario to practice law in a variety of corporate settings, giving him a broad understanding of business issues. Rick Peterson is a fluently bilingual Vancouver-based businessman who has lived in Vancouver for 30 years. 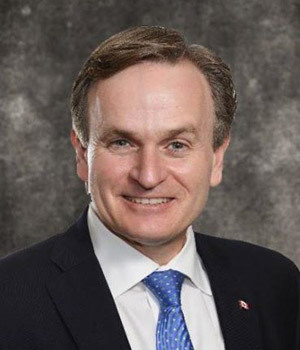 He has been a long-time Conservative volunteer, working with the federal Progressive Conservative Party and the Conservative Party of Canada at both the national fundraising and EDA organizational levels. He has three adult children – two who live in Montreal and one in Calgary – and a stepson. Rick and his wife, Irish, live in West Vancouver with their two Golden Retrievers, “Smooch” and “Beau”. 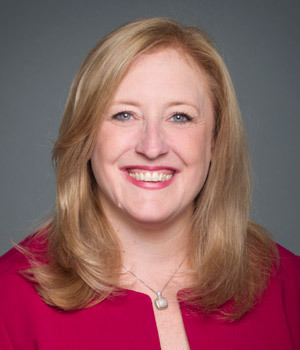 Lisa Raitts life changed when she met Stephen Harper, who inspired her to run in 2008 and serve in his Cabinet as Canadas Minister of Natural Resources, Minister of Labour and Minister of Transport. Prior to her election, Lisa was President and CEO, Toronto Port Authority. Lisa is a graduate of St. Francis Xavier University, earned a Master of Science degree from the University of Guelph and her law degree from Osgoode Hall. Lisa is married to Bruce Wood and the mother of two boys. Lisa is running to win in 2019 and maintain the unifying Harper Conservative Party themes. Andrew Saxton is a businessman and an experienced financial manager, with 30 years of leadership roles in the private sector and government. 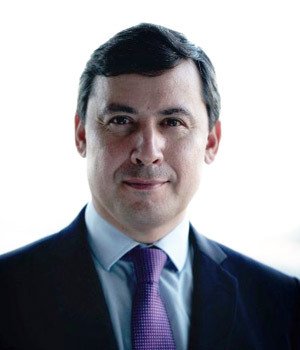 He is a long-time Conservative and served in Parliament as MP from 2008 to 2015, and as Parliamentary Secretary to Treasury Board and Finance. During his 16-year banking career, he was appointed as Vice President of HSBC in Singapore at age 33. Andrew advocates common-sense practical conservatism, where government is limited yet effective, where low taxes and sound public finances help create jobs and economic growth, and where equality-of-opportunity and support for Canadians in pursuit of their dreams are at the core of the governments agenda. 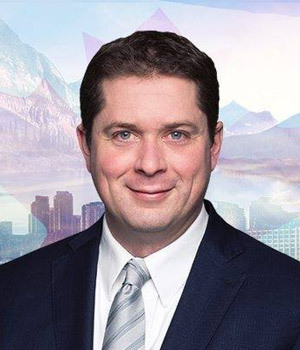 Andrew Scheer has spent his working life both in the public and private sectors in Saskatchewan and Ontario. In 2004, the people of Regina-Qu’Appelle placed their confidence in Andrew and elected him as one of Canada’s youngest MPs. In the 39th Parliament Andrew served as the Assistant Deputy Chair of Committees of the Whole. In the 40th Parliament Andrew served as the Deputy Speaker, and on June 2nd, 2011, Andrew was honoured to be elected the Speaker of the House of Commons. 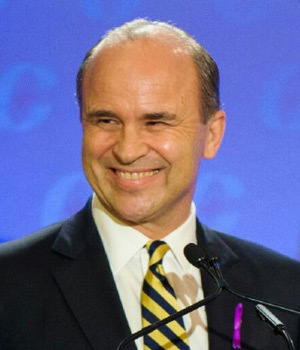 Following his re-election in the October 2015 general election, Andrew was honoured to be selected as the Official Opposition House Leader by Conservative Party Interim Leader Rona Ambrose. Most recently, Andrew stepped down as Official Opposition House Leader to run for the Conservative Party Leadership. 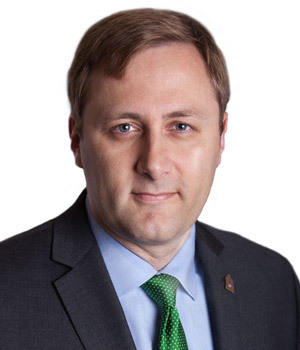 Brad Trost, a Saskatoon MP since 2004, stands for family-friendly, child-friendly and senior-friendly policy. A geophysicist, Brad opposes the notion of man-made climate change. As Prime Minister, he will declare an end to the war on oil & gas & coal–no carbon tax, carbon pricing or cap & trade. Brad will bring a Parental Bill of Rights for child-rearing and education, completely repeal C-68, legislate protection for pre-born victims of crime and a ban on gender-selection abortion, and block immigration from countries that support terrorism or Islamic extremism. Brad and Gerelt, his wife, and their daughter, Isabel, live in Saskatoon. Copyright © 2016 AEG All rights reserved.